For Vermont’s outdoor growers, April is a great time to get seeds germinated and start the little ladies on their way to a bodacious and delicious adulthood! 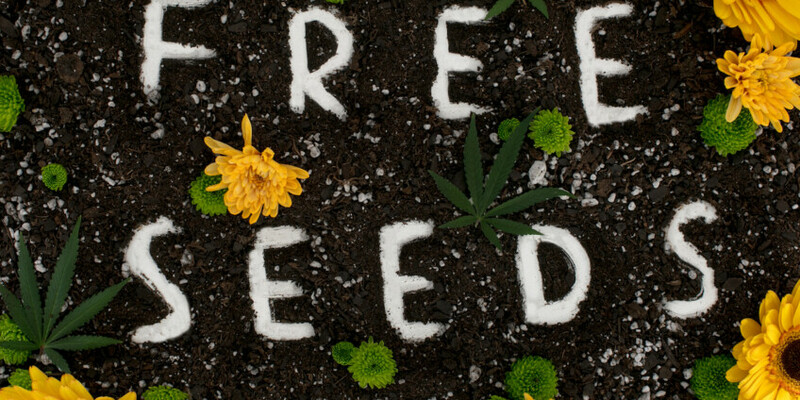 So, in celebration of 420 Week, from Tuesday, April 16 to Friday, April 19, Heady Vermont will be giving away free cannabis seeds to all members at HVT headquarters in Burlington and at participating partner businesses! If you’re not in the club, an annual Heady Vermont membership is only $40 – far less than a commercial order of seeds – and replete with even more benefits than merely filling your own personal stash. Heady Vermont members receive a weekly members-only newsletter, special deals from many of our partner businesses, reduced-price or free tickets to many of our events (like VTCANN 2019), discounts on Heady Vermont merch, and access to special, members-only events like our fall harvest dinner and The Headies awards party. To sign up, and receive all the benefits and privileges that membership hath, just mosey on over to the Membership Page. We also have discounted memberships for students, patients, and caregivers.